What do I have in my hands, my dear readers? A Brochure for Movenpick Hotel, Cebu? WRONG. What I have in my hands, in the prize for the Biggest Giveaway I've ever held in the history of the Pickiest Eater In The World. This was supposed to be the last of my giveaways, making it the Big Kahuna of the bunch, but I realized with the expiration date, I best get this out as soon as possible.. 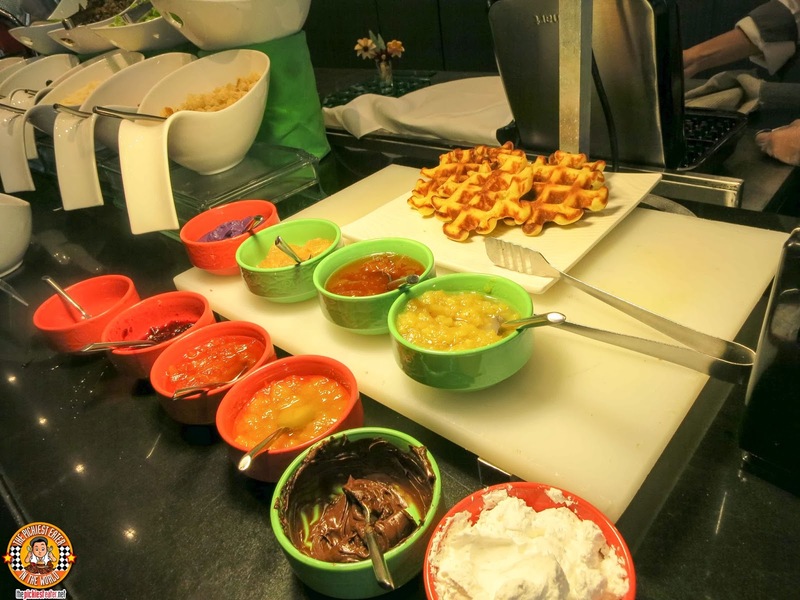 The Certificate will also include a breakfast buffet for two at the Sails Restaurant of Movenpick! 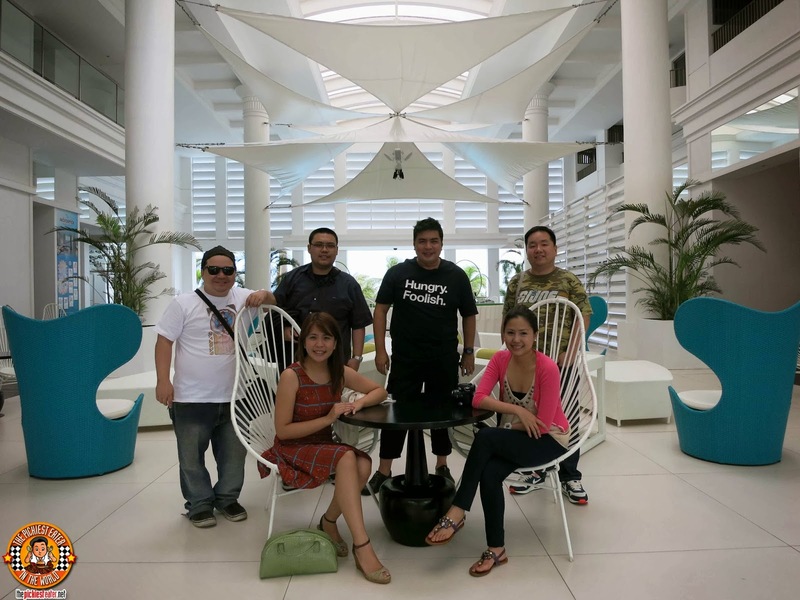 Me and my blogger friends had an phenomenal stay at Movenpick! The prize does not include airfare or any other travel expenses.. Just the room and breakfast for the specified duration. Who wouldn't want to wake up to this spectacular view every morning? 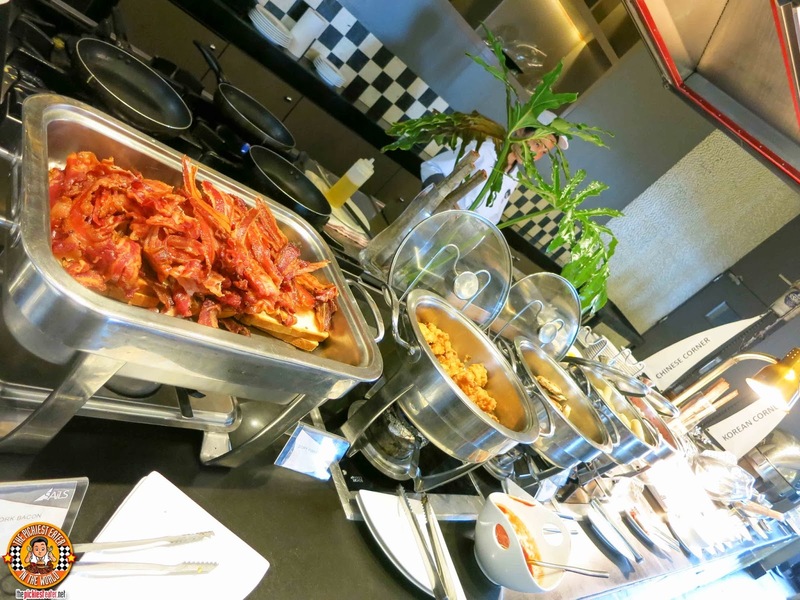 Here's a glimpse of your Breakfast at Sails Restaurant..
Apart from Movenpick that generously provided the Gift Certificate, Rina and I teamed up with my favorite blogger from Cebu, Babe For Food, for this awesome giveaway! So let's do this Picky Eaters! I will contact you within the week for details on how to claim your prize! or another winner will be drawn. and must claim the prize from an office in Ortigas Center, Pasig. I deserve to win this giveaway because for almost ten years at work, I really didn't had a chance to go on a what I can consider a vacation. My schedule normally relies on the official US Holidays and majority of these US Holidays, we are still required to report for work which takes away the chances to have a long weekend. Winning this giveaway will be the best way for me to ask for a nice vacation after almost ten years. I know my reason isn't as big as anniversary gifts or vacations galore..but I think I should win this because I really really would love a get away. I haven't been to Cebu for the longest time. I believe my first and last time was when I was in grade school. Yes that long.. I would love to go on a food trip down south too and try all the lechon to my hearts desire.Believe it or not..I haven't tried zubuchon (sad)..
Best birthday celebration siguro yan for me! sakto for March I was planning to go to Cebu! I wish i could win this! I want to win so i can bring my wife there for our Anniversary celebration, it would be the most memorable and exciting thing for us to take part. I think I should win this giveaway because I am joining this not for myself but for my parents, to give them a relaxing vacation together. They have been working for 20 years, since their early twenties, to support me and my siblings, and I think they deserve time to be together. This would be the perfect getaway for them and give them the opportunity to explore Cebu and try the activities offered. I want to win this giveaway so I can bring my boyfriend to Cebu. For the past 3 years that we've been together, he continues to tell me stories of when he went there years ago. He seems to be truly fascinated with the place and the experience. However, we can't afford to go to Cebu. If given the chance, this will be an awesome anniversary gift for the both of us. He has been a great gift to me and winning this will make him truly happy. And I am a huge fan, so I hope by winning this, I can finally get a chance to meet you. Haha. God Bless! Why do you think you should win this giveaway? Last vacation I had was 10 years ago.. I would love to win this so I could eat eat eat all that chocolate and bacon! And maybe take my boyfriend along for our anniversary :) Hihihi. I want to win this giveaway because I want to bring my fambam to this glorious hotel! hindi pa ko nakakapunta ng cebu kaya i deserve this giveaway sir. I just saw this post from my sis' page. Being the "kuripot" in our family, tobitteb believes you can get some things for free that why she's into promos and freebies craze. If ever I win I will give it to her so they can celebrate their 7th anniversary in Cebu. We want to win this vacation to celebrate our daughter's birthday. Whew! Hope i'll win :) This is perfect for our upcoming 16th year Anniversary! So excited! I want to experience the MOVENPICK Hotel Cebu and to see the beautiful cebu. I've been to Cebu once and only for a day. Movenpick Hotel is not yet constructed that time. Given the chance to win this contest, I will immediately plan another visit to Cebu. This time I'll stay for more than a day, explore more of Cebu and relax at this beautiful hotel after each activity. 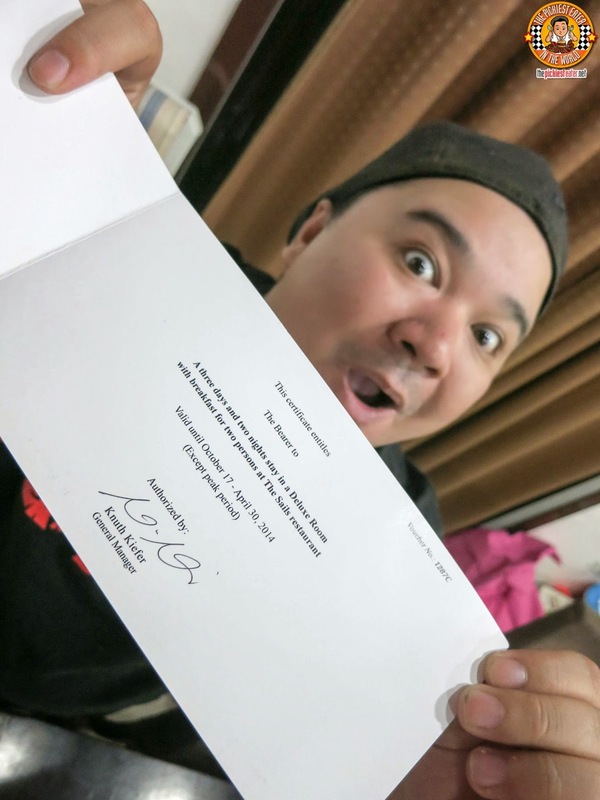 Me & my wife deserve to win a staycation at the Movenpick Hotel Cebu because we recently just get married last march 15,2013! and will be celebrating our first year anniversary, Its a simple but happy wedding because we are on a tight budget we wasnt able to do our honeymoon, cause again we are on a tight budget. so if I win, it will be the best wedding gift for the both of us. finally pursue our honeymoon. 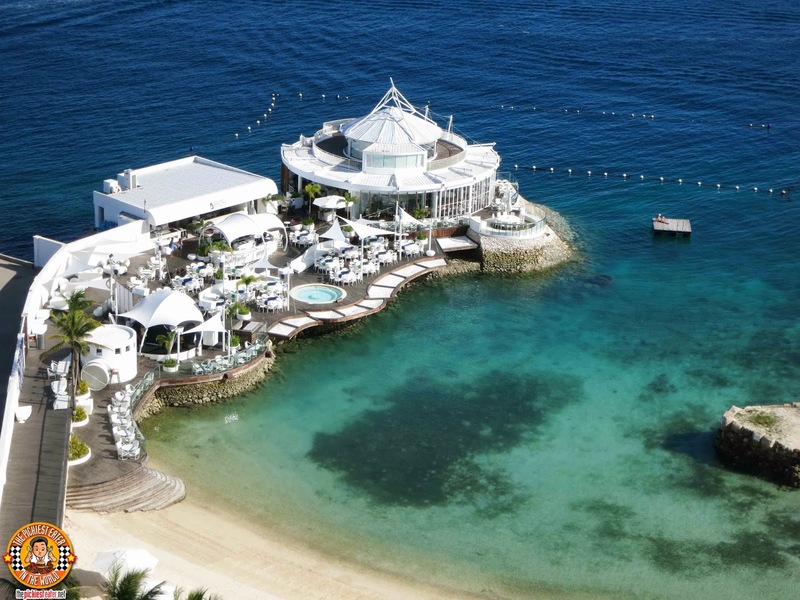 and maybe the MOVENPICK Hotel Cebu will be our love nest! Hope I win! it's been years since I went to a beach! I have never been to Cebu, I am a stressed and frustrated mom of three toddlers and I need to relax with my significant other! This is the perfect Post-Anniversary gift for my parents who celebrated their 32nd Wedding Anniversary last December 27, 2013. They deserve a nice vacation after what they have done for me and my family for the past years. I'm from Cebu and ever since i really wanna visit Movenpick hotel and if ever I win it's gonna be my parents who'll enjoy the luxurious vacation coz they've been workin' real hard for our education. It's been a long time since we last travelled to Cebu and it would be nice to stay at Movenpick. Hope to win. P.S. We loooove reading your articles. Please keep on writing because you inspire me to go back to my first love - writing, and to work on my very own blog. God bless! I want to win this giveaway because my Dad is coming home by the end of March and it would be great if we will have a vacation in Cebu to have some father-daughter bonding. Movenpick Hotel Cebu is so one of my dream destination. And i'm sure you will help make my dream come true. Besides i am having a very stressful start of 2014 with pressure at work and i think i'm losing grip. I just don't want this, I need this. The primary reason I want to win this giveaway is because I want to give my lola the getaway she deserves after all the years she spent taking care of us her apos. She haven't been to many places and I want her to see Cebu for the first time. She's turning 84 this May and this is a great advance birthday celebration for her! I hope I can win this GC and give my lola and family a great expeirence. My whole family haven't been to Cebu so it will be a whole lot new experience for us! I hope I could win this! Thank you sir Richie! Hopeful to win this giveaway because I have never been to Cebu and it has always been on my local travel bucket list to experience the beach of Cebu. I am also amazed by the beauty of Movenpick Hotel that I wanted to see and experience it for myself. Also I think winning this giveaway would be a great birthday gift for me for February as I really wanted to take a break from Manila. I want to win this giveaway because I am certified traveler. My husband and I really loves to travel, and hopefully, if I won, we will use it after I gave birth this January. Our first family out of town. I want to win this giveaway because this would be my first time to go to Cebu and this would be a perfect wedding anniversary vacation. i'd love to win this as a present to my hardworking husband. I'm currently a stay at home mum caring for our 3 month old boy and as such, i have limited means at my disposal. Winning this would be a welcome and well deserved treat for him. Crossing fingers! My bestfriend and I forego our yearly vacation last December because of the calamities that happened in the Visayas before our trip. Winning this gift certificate will really make up for our supposed to be vacation plus we dont have to spend on our accommodation. I've always loved Cebu and I'm dying to go back. Hopefully the next time I do, I'll get to spend it at Moven Pick Hotel! This is the best gift to my parents who celebrated their 35th anniversary. I deserve to to win this giveaway because it will be a great and unforgettable experience staying in a hotel with it's own beach. I'm a beach lover but I've never been to a hotel like Movenpick. Who wouldn't want to spend a weekend or a stay on one of Philippines most googled destination for 2013? To be honest, this would be my third time joining a contest on winning a stay at Movenpick, I know someday I can afford to go there with all hard work and savings but I'm keeping my hopes alive that maybe, the third one is a charm and I might win this one. Oh my. 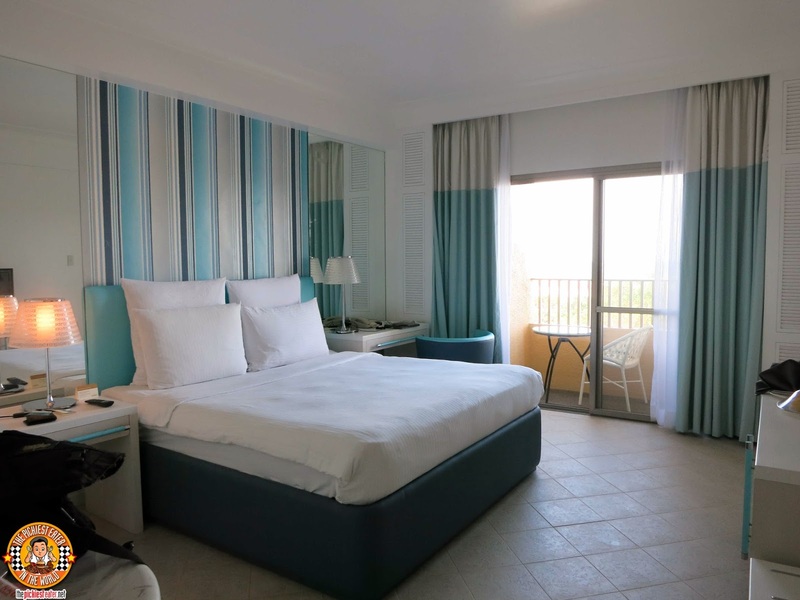 A stay at Movenpick. I've been joining tons of your giveaway and already felt malas coz never got to win one but I won't let this one pass,I just can't. I hope I get lucky. PLEASE NAMAN, stars above give me the luck I need. LOL Hihi This would be a great anniversary celebration for me and the hubby. I love Cebu and I want to bring him and our daughter so they'll know why I love Cebu that much. I think I should win because I would really love to have my sister and her husband go on a grand vacation. They're expecting baby #2 this year and they really need a break. I want to win this giveaway cause i have a stressful job. i just want to give time for myself stress free! so this is the perfect prize for me, free accomodation at Movenpick Hotel Cebu!! i should be the winner because i think i deserve this kind of treat. it will going to be my first time to go there kahit sa cebu if i win this. also i want to relax myself from a stressful days/nights in our house :'( but there's more! i have this reason (more reasonable) why should i win this, because i want to treat my cousin since she's always been left behind every time they or we have a family escapade/vacation and i want her to make bawi with the times na di kami nagbonding together. I should win because I want to bring my hubby and my kids to Movenpick Hotel Cebu. If we will be blessed and win this prize, it would be our annual family vacation where we could create wonderful memories with the kids, spend quality time and just have fun and relax. I think I should win because I want to reward my parents a great honeymoon vacay! They have been such great parents and grandparents to my son. I am a new single mommy and my parents deserve the much needed vacay for all the work they have been helping me! I wouldn't know what my son and i would have been without my parents help... So I would love for them to go to Cebu (my mom is from Cebu!) and get the honeymoon after renewing their vow they deserve! I should win this giveaway because I want to get lost in Cebu and find myself. It'll be priceless for me! I deserve to win this because I deserve this kind of fabulous treat. I want to share this with my Hubby,Doc Dan,we will be celebrating our 25th Church Wedding Anniversary this coming Feb, 15. I want to win this contest because I've never been to Cebu and I've always loved travelling to a lot of beautiful places. I think it will also be a nice stress relief for a college student like me. I want to win this giveaway because my hubby is going abroad na this september. I want to have a short vacation in cebu with him to unwind, relax & creating memories before he leave abroad. Please.. I think i should win this .. because everybody deserve a second chance. I've been to Cebu once.. went there to attend a wedding but something happen and i need to get back to Manila ASAP. I missed the chance to see the beauty of Cebu and now, i'm joining here because maybe this is meant for me. To have a second chance to see and experience the real beauty of Cebu which Mövenpick Hotel Mactan Island Cebu can fully offer. I wish to win this and i will be forever grateful. Hoping and deeply praying to win this. Thank you! I just want to experience what you experienced there with my loved one because we all deserve la dolce vita once in a while. Like all of your applicants, I would love to win the staycation at Movenpick. However, my reason is that I really want to take my husband to a place where he can totally enjoy the view and relax to the fullest without leaving a permanent hole in our pocket ( or should i say, my husband pocket ) . We recently remodel our house ( and by "we" i mean "he", my husband alone ). In order to save money, he took the whole project by himself. He worked so hard since the beginning of January just so he can finish everything before his vacation leave ends ( most husbands would relate to this, a vacation leave without a vacation at all ). I love him so much and want to show him how much I appreciate him by giving him a real vacation he will never forget. Thank you for considering us and hoping to win this. Nothing beats spending a relaxing vacation with my hubby and 3 daughters. The moments I spend with my family are precious to me. My husband and I are both working...me from 8:30AM-5:30PM while my husband works on a night shift, from 5:00PM-8:00AM. The only time we see each other is when he gets home from work at 5:30AM and he would drive me to the shuttle at 5:45AM - 15 mins of savoring each others' presence. With our present set-up, it would be such a delight to spend a getaway with him...spending longer hours and time with each other. I've been really busy with school these days and I think this will help me unwind and take a breather from all the piles of schoolwork I have yet to finish. I think I should win this giveaway because I have never been to Cebu, and I have always wanted to visit this place. Being a mother of three, it's really hard for me to find the time and money to relax and go visit places. I think this is the perfect opportunity for me to unwind and take a break. I want to win this gift certificate so I can give it to my partner as a gift for her bar exam result. Hoping that she'd pass the bar with flying colors. This will be for her 6 month 'No Party, No Alcohol, Hermit Type Life, and Late Night Readings'. The sacrifice she had to take just to go through law school and the agonizing wait for the results to come out. She doesn't expect anything grand from me, but I guess this will be the best gift I can get her. I should win this awesome giveaway, so I could visit Cebu, I want to see the beautiful spots at Cebu. I never been there, and it's my chance to visit it with free hotel accommodation. I want to win this giveaway because I am dead broke and my wife had her bday.This would be a perfect better late than never gift for her.Plus we haven't been to cebu yet together. I want to win this giveaway because i want my mom and my wife to have a little vacation, some bonding moments for the two most important women in my life. All of us wants to win for different reasons. I may not deserve this but I really want to win this stay in Movenpick Mactan Cebu Hotel for my girlfriend. Valentines day is coming up and this is the best I have thought off. As of now, we don't have enough budget for vacation since we are saving for far more important things. She deserves a Valentine's day gift where she will have time to relax and leave all the stress she has been experiencing at work lately. She deserves a romantic time off far from the Metro, where she can breathe fresh air, enjoy the sunset, and have fun at a cozy beach we have never been to. This is the best opportunity I can get, and I am taking my shot. Spending this with her will be the most romantic Vday we'll have since the day we've been together. I want to win because I want to go to Cebu for relaxation and getaway from the busy life of the city. I want to win because this is a province of my father,and i want to go there to meet my relatives. Thanks a lot and More Power to you and cheers to an awesome blog!! I think I should win this giveaway coz this would be an awesome post-anniversary gift. We haven't celebrated our anniversary ng bongga and this year it would be our 10th wedding anniversary so I want it to be special. I should win this giveaway because i want to see my sister, we haven't seen each other for a long time ago since im working here in manila and shes in Cebu and i am planning to celebrate my 24th birthday in Cebu, i already have plane ticket but still undecided where to stay. Because of this contest,now i have the chance to stay in a heavenly place like Movenpick! It is a dream for me to stay there! i am hoping and wishing that my dream will come true, as soon as i win this it also lessen my expenses since i have only small budget for my birthday this coming April in Cebu! I deserve to win this. My wife has told me countless times that it's her dream to go to Cebu but because of her expensive medical treatment and maintenance, etc., (she's a cancer survivor, thank God! ), the plan to visit the city stayed that way - just a plan. If I win this, you'll make her dream a reality and you'll make me the happiest man alive just seeing the smile on her face. Because it's my dream ever since all my friends went there for our college org convention and I got left behind just because my mom didn't allow me to go (she thought I was too young at that time). It's my dream but I never got the chance to do it. And i'm so happy to see that my husband (Jonard) joined this for me... so touched by what he did. I want to win this because I am planning to have some vacation in Cebu. This gift certificate will be perfect. I should win because I've never been to Movenpick. Never had a chance to stay in that beautiful place. I really want to win this trip for my hubby. Since he was the only one who's working for our family, I want to give him a break and I am a hundred percent sure he will love this trip! I have done research in this place and I think this is it! This is the PERFECT place we're looking for. Where we can unwind, explore and have time for ourselves! Praying to win this trip! hihi... Godbless! I haven't been to Cebu since 2005! Winning this would be a great opportunity for me to go back there! I will win this because we already booked for plane tickets but still does not have accommodation yet! 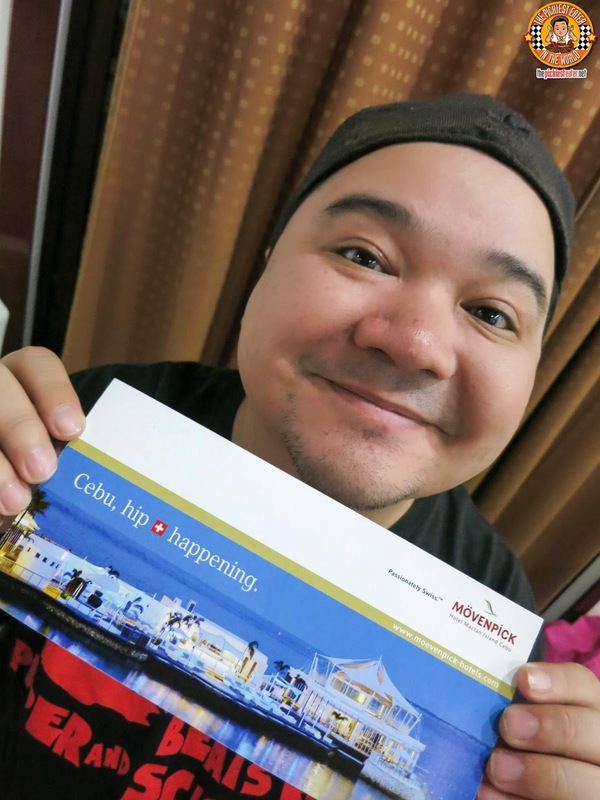 We have never been to Cebu, but we all know its a great place to visit and Movenpick would absolutely make us get back again. BACK IN SESSION AT PHOENIX COURT! 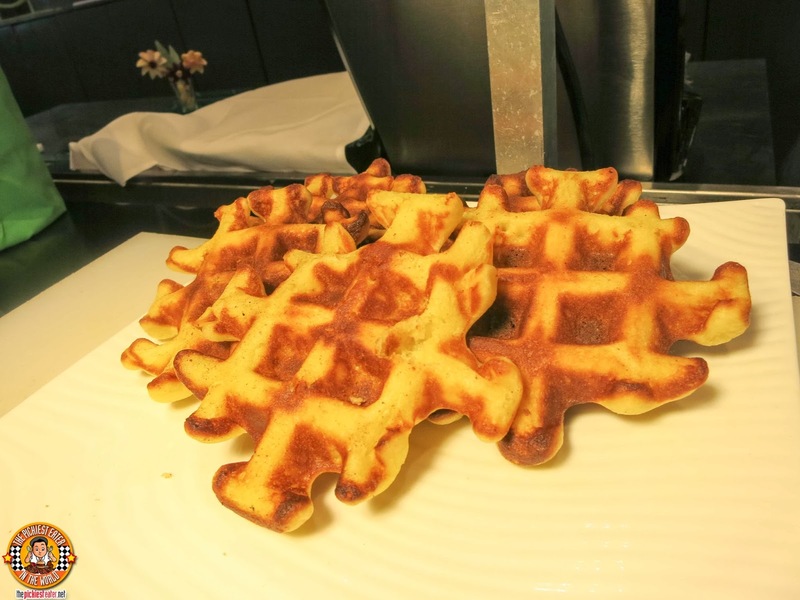 PICKIEST GIVEAWAY 2014 #3: IHOP! PICKIEST GIVEAWAY 2014 #2: CAFE SHIBUYA!